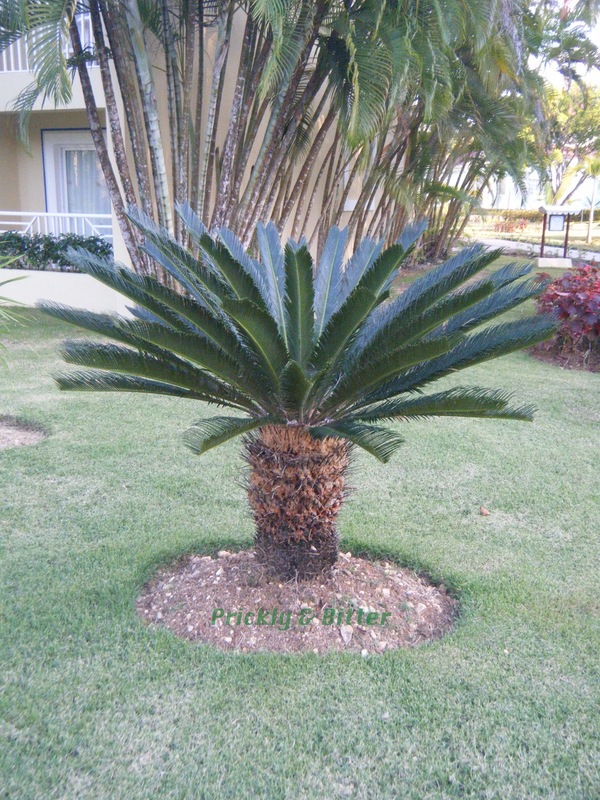 This species of cycad, often confused with the sago cycad/sago palm (which you can read all about HERE), is native to the northernmost peninsulas in Australia but are now commonly planted in tropical areas as an ornamental species. It is slightly more hardy and tolerant of storms than the sago cycad, and grows significantly faster. It is also easier to propagate from seed, which means there is less of a stress on the population due to poaching this plant from the wild. Until a few decades ago, this plant was rarely seen outside of Australia. 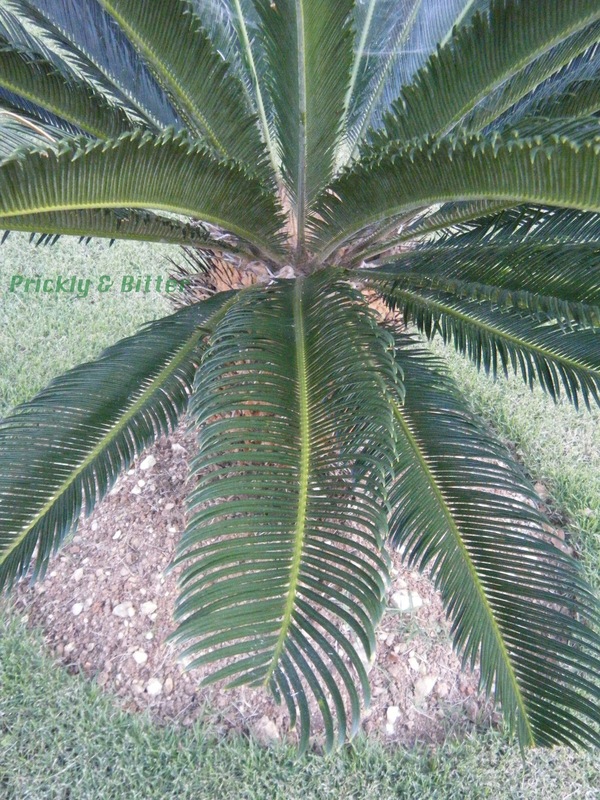 Other than the ornamental value, this plant has very little alternate use to humans. Spiders, however, seem to love this plant. The third picture doesn't have the lens covered in sunscreen and hence the seemingly "fogginess" of the image (I can't say the same for a few other images...). What you can actually see on the inside of the fronds is a massive spider web (probably, actually, a whole community of spider webs). This was on the inside of almost every cycad of this species I looked at, so there might be something more to it than just chance. 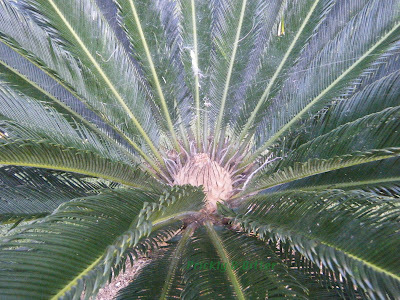 Someone needs to look at the diversity of spiders in these cycads and whether or not they're native to Australia (and hence were brought over somehow with the cycads themselves), or whether Dominican spiders have started adapting to use this species as an ideal habitat.